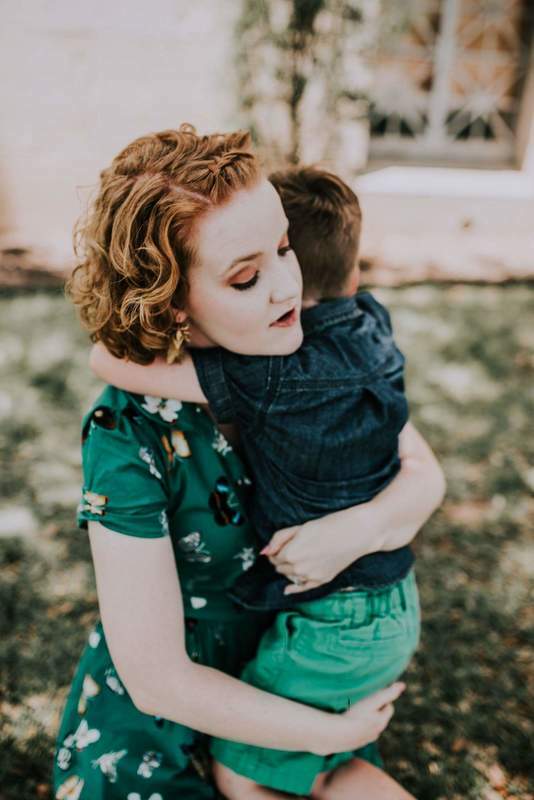 I became a licensed foster mom at 24. We started working towards it and training when I was just 22 because my husband and I always knew this was how God wanted us to grow our family. We always thought about the possibility of biological children, but we wanted to intentionally adopt first so that our adopted children would never feel like an afterthought. Ninety days into our placement with Jax, the judge asked us to adopt our son. So here I am, 25 years old, raising a 5-year-old. I am honestly still processing this. 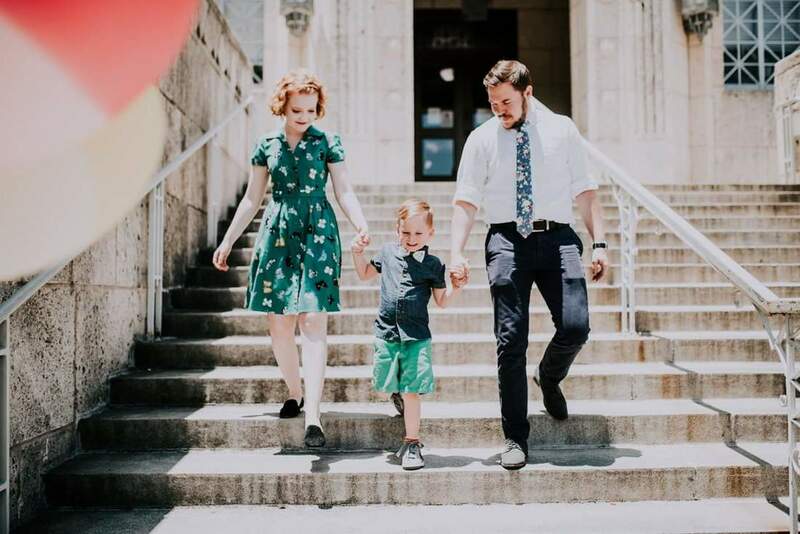 Last summer, we were vacationing and living a really abundant life as just the two of us, and this summer we are raising a soon-to-be six year old who has trauma, who has come to know us as his safe place, and who calls us mom and dad. Some days I still feel like just a babysitter and not a real mom. I know in my heart I’m Mom, but my brain is still settling down from this whirlwind. I imagined we would be a bookmark or chapter in Jaxson's story, but I had no idea we would be a part of his story and he would be a part of ours forever. It's so incredibly difficult, yet so humbling and magnificent. I remember the night he was born. I was in the middle of nowhere Alabama at a bar, barely halfway through college. It was my first New Year's Eve with his dad. If you had told me a little boy was being born, and that God made me to be his mother, I would have called you crazy. But it's true. It was predestined. This is God's will ... and I still can't believe God chose us for Jax. It brings me to tears because I'm so humbled He wanted us for this. Before the Love Box program, I felt extremely abnormal, like the world was always staring at us. All of our friends are single or have tinies. We didn't have a village and we felt really isolated and often judged. Since Jax looks like us, and I look so young, I even had an older woman in a store try to offer me advice once – like I was just a young mom without a clue. She had no idea it was trauma she was seeing and not disobedience. I felt so hopeless. Like no one would ever understand us. 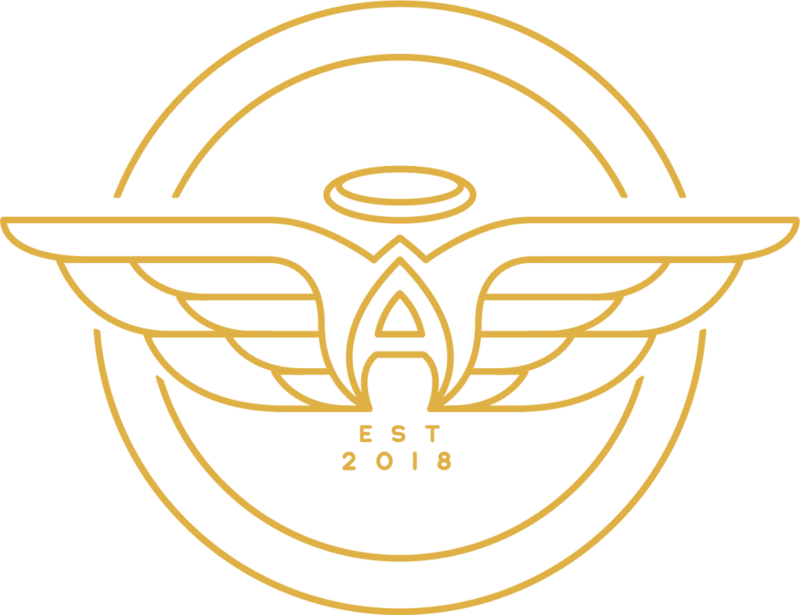 We found out about Austin Angels through another foster mama who told us it would be a great way to find like-minded community. The weight of taking on Jax’s trauma was overwhelming –– and we found our “people” with Austin Angels. Our Love Box friends not only made a valiant effort to understand us, but to love us too, which has really helped me find peace. Our Love Box Leader actually has a 6-year-old who she adopted through the foster care system. At first, I was worried that there wouldn't be a natural friendship between us and our Love Box group, and that it would be a bit forced. I had no idea that I would find another mama (with an adopted kiddo who was Jaxson's age) who would really walk with me. Rachel, our Love Box Leader, has been able to coach me, validate my feelings, and help us feel like a “normal” family for the first time ever. Going over to their home and hearing the sweet sounds of our babies playing together was so beautiful. I learned a lot by how she runs her household and always leads with kindness. It also felt so normal and helped us lay some foundation for our new normal. There are other families like us. People get it. This is hard work, but more so heart work. I used to feel like a beast because my attachment wasn't as strong as my friends who were having babies. I felt so broken. She ensured me this was part of the process, and her telling me to give myself grace helped me and Jax bond more naturally. I really look up to Rachel and know that I too can do this–– and when I'm stuck, she will coach me through it. Austin Angels has given us a community of people who "get it." When I'm alone and fear I'm doing it all wrong, I know I have people to turn to who have walked this road. Our closest family is 1,000 miles away, and just knowing we have people here in Austin helped me rest easier through this adoption process. Without Austin Angels, I'm truly not sure we could have adopted our son. Austin Angels has not only blessed us with special treats and outings that helped us bond as a family, but the wisdom and guidance we have received from our Love Box group has helped us find our “normal” and thrive as a family. I used to feel the need to explain why we are different and a bit quirky, but I now have grown in confidence and can smile and say, "This is us and we are proud!" I was eaten up with anxiety before we joined Austin Angels. I have so much more peace now, to the point I feel like we could even start talking about adopting a second child because I've been shown how to be a good parent to a kiddo with trauma without sacrificing my own mental health. We love Austin Angels ... times a million! Forever and always. We couldn't have welcomed home our precious Jax without them. When our time is up, we would love to sponsor another family. Austin Angels are our people and we love them all dearly. We are so appreciative.